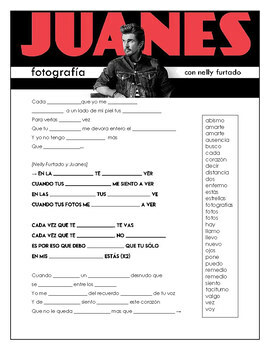 Fotografía - Juanes & Nelly Furtado Cloze Song Sheet! Spanish! 2002 song from Juanes & Nelly Furtado called 'Fotografía' in Spanish! Great for a short listening activity, warm up, or class closer!